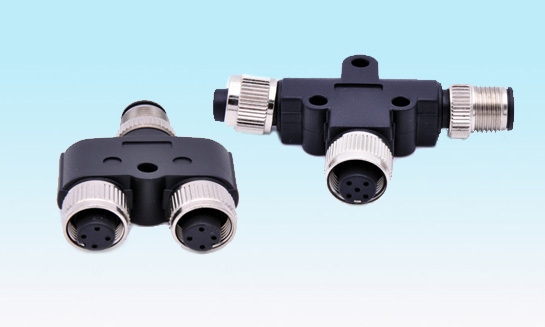 M12 8 pole X coding connectors are more and more applied in the fields of gigabit industry Ethernet with high bandwidths requirements such as rail transit, vision systems, broadcast, security and control cameras, factory automation systems. They can be suitable for stringent environment for their owning 4 pair connection face with paired shielding.By the special structure design, M12 X coded connectors can achieve maximun data transmission rate and minimal interaction and excellent shielding. can supply our customers with M12 X-Code Cat 6A 8 Pole PCB Receptacle, M12 X-Code male and female field wireable connectors, M12 Cat 6A 8 Pin Overmolded Cable, M12 X Code Cable and M12 to RJ45 cable with various length such as 1m, 2m, 3m, 5m, 8m, 10m.